Casual wine drinkers, aficionados, and beginners alike: Each month we try to expose you to new things, educating you and diversifying your palate with a lineup of our monthly picks. We've been traveling through Spanish wine country as we write this month, and are also preparing for Thanksgiving with the inclusion of two American Pinot Noirs in our November lineup. We promise to have plenty more from our wine-seeking in Spain and Portugal as we write over the next several months. We hope you enjoyed our October wine picks, and that you enjoy these just as much! 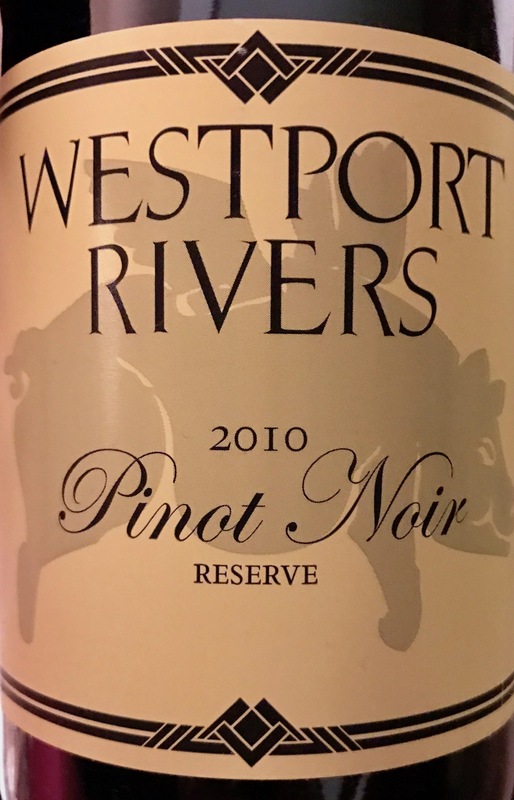 Why we chose it: We've been following the delightful 2010 vintage Pinot Noirs from Westport Rivers Vineyard and Winery for several years now (this is the third they've released from 2010). Still a little tight on first opening, there's still room for this to age. Lightly colored and light through the entire experience, there's some wet cherry and rusty minerality in the nose (lots of iron in the soil), followed by smooth gentle cranberry and cherry on the palate. This is a delicate Pinot that will pair well with a mild dish. What to look for: The Reserve is Westport's last and longest held release of the 2010 Pinot Noir, so sadly it is no longer available on the shelves. We've highlighted it here to re-emphasize our fondness for cool climate Pinot Noirs that work surprisingly well in Massachusetts when under the care of the right winemaker. Why we chose it: This is an excellent corollary to the Westport Rivers Reserve Pinot above because it makes such a good case as to how the same grape varietal can be used to produce such starkly different wines. Unique cinnamon candy notes in the nose set this apart from most Pinot Noir that you're used to. This wine is lively and fun on its own, though it lacks some of the acidity that makes for a great Pinot Noir food wine. It ends up being hard to get over what you find in the nose. Ringing in at 14.5% alcohol, you'd not surprise us wondering if there isn't 10% (ish) Zinfandel in this guy. We suspect that your Thanksgiving dinner guests will love it! What to look for: This wine was brought to us as gift by a dinner guest, and we suspect it is fairly easy to lay hands on right now. Here you're looking for a reputable central coast California Pinot Noir in the $35 range. You'll find that Pinot from that region will be markedly different to what you're used to from Oregon, Massachusetts, New Zealand, and France. Why we chose it: Blended from wine aged in both French and American oak barrels, this is an excellent example of Crianza (that’s a Spanish red aged a year in oak barrel and a year in bottle) from the Toro winemaking region in north-central (ish) Spain. The town of San Román de Hornija, where Bodegas Elias Mora is located, sits just on the Valladolid side of the border between the provinces of Zamora and Valladolid in the autonomous community of Castile and León, in the stretch of wine regions that (roughly) begins with Toro in the west, and ends (again, roughly) with Rioja, Navarra, and Campo de Borja in the east. The wine itself offers us delicious black currant, with some purple jamminess on the tongue. There are firm, but not overwhelming tannins in the finish. This Crianza is a versatile wine suitable for both drinking alone and well-prepared meat dishes such as lamb or pork. What to look for: We chose this wine for this specific lineup in part for its regional representation, but also because we know for a fact that it is imported and thus gettable in the United States. We recently opened a bottle at SER Restaurant (a favorite) in Arlington, VA. If you struggle finding this specific wine, seek out a moderately priced Crianza from Toro, and let us know what you think! Why we chose it: This is a fine quintessential example of Ribera del Duero wine from a multi-generation family-owned and operated winery in the town of Gumiel del Mercado. The winery recommends you decant, though our lack of decanting gear at the time we drank this prevented us from doing so. That didn’t stop us from enjoying lots of blueberry in the nose with a little hickory wood that adds depth and character to the fruit of this 100% Tempranillo grape varietal wine. Vanilla pipe smoke that begins in the back of the nose continues into the palate where it mingles with notes of white tea, freshly picked black raspberry, and the blueberry that is so characteristic of Tempranillo from Ribera del Duero. What to look for: We’ve expounded on the virtues of Ribera del Duero wine before, and will undoubtedly do so again, but here we’re pointing you specifically to smaller production (i.e. wine from wineries that don’t mass produce) bottles of mid-priced (thinking $20ish range) wine from this region. Distribution varies widely in the United States, meaning that you may not find all the same bottles in all the same places, but most respectable wine shops will have something for you to try. Why we chose it: Dark and full in the glass, beautiful red garnet on top, legs. Complex nose that runs alcoholic hot at first but also gives leather and black currant, cherry, almond. Mahogany and hickory. Big full tannins and luxurious wood in the palate. Cherry and almond continue. What to look for: At the $53.99 per bottle that the excellent Numanthia commands, we're returning to Toro with an example of something on the pricier side. There are two sides to this coin: Numanthia is a great wine that we really hope you'll try, but including it in the same lineup as another Toro demonstrates that great wine from this region can be found at multiple points on the price spectrum.